I am on a constant quest to get out of my immediate surroundings. I am not having any problems, I just seek to get the most out of my life experience regardless of my physical limitations. In fact, I think it is the limitations I live with that have chiseled out the new me. Just recently, with the help of my psyche, I joined a local book reading club. The club is located at my local library, which happens to be fairly close by my home. I can actually take my scooter and ride a block to the library by myself. That after all was the original intent. But the idea of heading there alone was a bit scary as most things are with me these days. Because I get so weak so fast and my varying cognition issues I’m afraid I will not be able to handle unforeseen precarious situations. Also the older I get, the less willing I am to veer off by myself. My inner self said that there are plenty things she wouldn’t do now that she would have been more than happy do when she was younger. So maybe it’s a sign of maturity. I’ll take that. Well the book club has chosen to read an inspirational book geared toward young men. 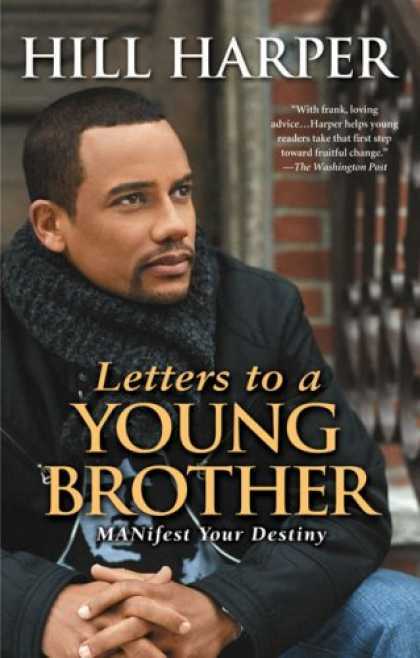 It’s called “Letters to a Young Brother” by Hill Harper. It’s not a book I would’ve chosen on my own. But I figured it might help me relate to my young nephew in an uplifting manner. A friend once told me, I could have a positive influence on my nephew that had nothing to do with multiple sclerosis. I took that and ran with it. So you could imagine how happy I was to see the underlying current of this book was one could be “unreasonably happy” in life. I think that is a pretty awesome goal to shoot for every single day regardless of your life circumstances. Now if only I could conquer this darn fear. I just found your blog and I can so relate to how you feel. MS just bites. I was diagnosed a little over 3 years ago. I’m doing OK but of course I have some bad days. I have found many ways to cope with the changes forced upon me because of this stupid disease – but that is what we all have to do – learn to cope. I too blog (not as well as you) it’s my own little bit of therapy. I will be checking back with your posts on Tuesdays – keep moving forward anyway you can! Thanks for stopping by. I can’t wait to see you back! It. certainly sounds like you relate and yes blogging has been very helpful. I look forward to stopping by yours! Book clubs are excellent. I started one 6 years ago, and it’s still going strong. The books we read are not the ones I would choose for myself, so it’s opened up many new worlds for me. Once you’ve gone to a few meetings, it will no longer feel like unfamiliar territory. Do keep giving us book suggestions on your blog. Laurie, That’s good to hear. I’m looking forward to our next meeting. Glad to hear of your venturing out of your comfort zone and your willingness to write about the experience. The quate at the end of your post says it all, happiness comes from within, and for that I am grateful! Your willingness to be real is what keeps me coming back every week and I love the photo you used. 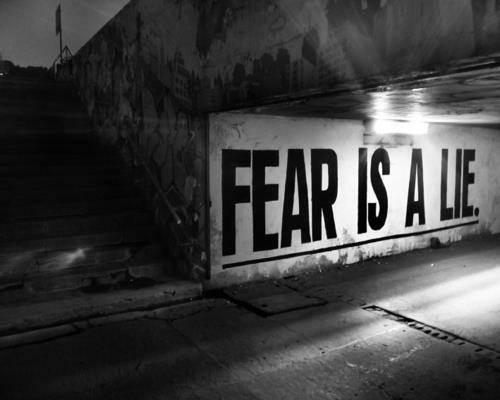 Some describe fear as False Eveidence Appearing Real, and probably the most common sourse is the fear of the unknown. Well hello! welcome to MS the ultimate dose of daily unknown. Thankfully I’m much better at handling the daily surprises that come with MS some 7 plus years after my dx but there is definately an elevated sense of anxiety that I did not experience prior to my diagnosis. Thank you for your work and encouragement and be happy, reasonably and unreasonably, wichever works! It’s something I would like to work towards “unreasonably happy”. I think its the most we can ask for in life. I just happened to stumble upon your blog, yesterday I read an American (USA) article which said MS was more prominent in black women than white, I was quite surprised. Hay lady it’s Auntie Gail! As one get older they do began to fear things like driving to fast, new hair styles, and doing new things. But the one thing I don’t fear is reading your blog on a regular basis! Reading your blog always gives me hope for myself to strive harder to make my life more UNREASONABLY HAPPY! This is wrong with me, that us wrong with me, I’m not happy, I’m alone, just to name a few of my unhappy FEARS. But one thing I can be sure of is when I read your blog I can always expect to LEARN something about myself and hopefully grow spiritually with a little less fear for my own life. Thanks for letting me know that there is a such thing as being unreasonably happy and it’s really a good thing! Good luck with the book club and keep up the good work with your blog cause I’m always inspired by what u have to say and I can see other people are inspired too! Congrats on the good goal. You know what I find so cool about it? If you are able to live it for a short while, I suspect you may find many reasons to be reasonably happy. Happiness has a way of multiplying every bit as fast as realizing things can go wrong, but it takes training our minds to realize it. I was in a collaboration workshop for 2 days, and one of my take aways from the class was to realize the human predisposition to remember the tragedies and mistakes more often and more vividly than our successes. It’s not like we have no successes. We just take them for granted more to the point where we have become hard wired to do so. It’s only with training our minds that we can overcome the inclinations. Uncharted territory (venturing out by yourself) can be a daunting task. But the feeling of accomplishment after is the best part! “Unreasonably happy” is something everyone should strive for. Aly, thanks so much for reading. I can’t believe you’re from New Zealand! the power of Internet is amazing. stay strong and keep looking up. Unreasonably happy. Sounds like what people say about me. It’s a lovely way to live life. Lisa,Sounds like you are the one giving MS a ride! Hi Nicole! Unreasonably happy…..nice thought. Lorie, Are you working on that? Just a sugestion, do with it what you will. Do this for two reasons. 2 It will be a road map for someone ot help help if required, just point, and hope they can read English. Peter, Thanks for the suggestion. My husband and I recently just worked out a system of our own. He knows now that when I stop in the middle of the sentence, I am “buffering”. Similar to the way computers do. Good luck and some writing to help with the fear (which I also am trying to challenge) is the work of Brene Brown — http://www.brenebrown.com) Also great reading! Linda, I could have guessed, you had read this one already! By the way, I’m reading and writing more than ever too! Such a good point, that our “challenges’ leave us open to receiving inspiration from unexpected sources. I believe that’s true. I don’t even go for a walk around the block alone. I understand the cognitive issues that take away the ability to do things for yourself, alone. You did really good going to the book club. Did you make it there alone? Lisa, No. Honestly I have not, but I am going to the library more now. Hi from New Zealand! I have been reading your blog for a couple of months and love it :). You have a great writing style. I have MS also, Diagnosed by MRI when I was 31.